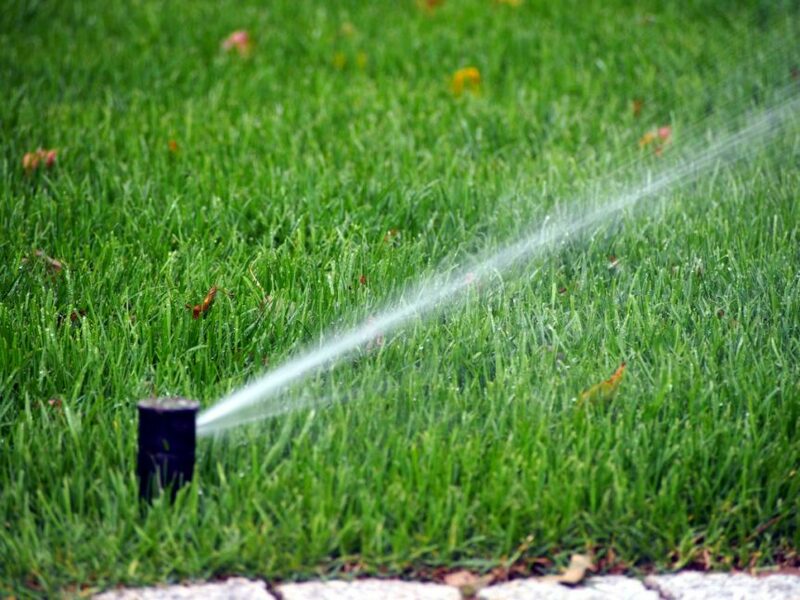 In-ground lawn irrigation systems can be a great way to keep your lawn healthy during short and long term drought. A well designed system, used properly, can be an efficient way to water your lawn. However, too many in-ground irrigation systems are simply turned on during spring and forgotten until they are shut down in fall. While many controllers can accommodate rainout switches to suspend irrigation following rain, it is still too common to see irrigation systems watering the morning after a significant rainfall event. When’s the last time you used your irrigation controller and is it equipped with a rainout switch? Do you know how much water is applied during a typical irrigation cycle? Are the irrigation heads are working properly and are you comfortable adjusting the run times on your system? If you’re unsure then it may be time to have an irrigation specialist visit to audit/repair/adjust your system and teach you how to use your controller. The amount of water required to maintain a healthy lawn in Nebraska will vary depending on the time of year, location, and grass species. In general, Kentucky bluegrass and tall fescue will lose between 1.0 and 1.5 inches of water per week in July but less than an inch per week in late spring and early fall. Buffalograss requires even less water to survive summer. The frequency and quantity of rain will also affect amount irrigation each week. It’s relatively easy to adjust program run times on irrigation controllers by simply changing the Season or Percentage Adjustment. Reduce the runtimes to less than 100% in the spring and slowly increase the runtimes into mid-summer. Mild water stress during late spring and early summer is helpful because it pre-conditions the turf to tolerate summer heat and drought stress which saves money. In addition to inexpensive rainout switches, new smart controllers can automatically adjust irrigation run times depending on prior weather conditions. The upfront costs to install a rainout switch or new smart controller can quickly made back in water savings. The easiest way to save a significant amount of water is to simply turn the irrigation controller off. Most of Nebraska has received regular and heavy rainfall over the past month. The majority of home lawns haven’t needed irrigation, yet too many systems have been automatically watering. You are the smartest irrigation control. Leave your control off until there are signs of water stress. One way to quickly assess soil moisture is to push a knife or screwdriver into the soil. Use the controller to manually run the irrigation programs when it’s difficult to penetrate several inches into the soil. This is the best lawn watering recommendation and is sure to save money on water.